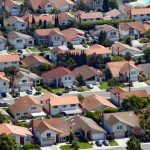 In the week following the largest one-week decline in a decade, mortgage interest rates remained virtually stagnant, according to the latest Freddie Mac Primary Mortgage Market Survey. The 30-year fixed-rate mortgage averaged 4.08% for the week ending April 4, 2019, according to the survey, inching forward from last week’s rate of 4.06%. Notably, this week’s rate is much lower than last year’s rate of 4.4%. Freddie Mac Chief Economist Sam Khater said purchase mortgage application demand saw the second highest weekly increase over the last year and thanks to a spike in refinancing activity, overall mortgage demand rose to the highest level since the fall of 2016. The 15-year FRM averaged 3.56% this week, slightly increasing from last week’s 3.57%. This time last year, the 15-year FRM was much higher coming in at 3.87%. Lastly, the five-year Treasury-indexed hybrid adjustable-rate mortgage averaged 3.66%, edging down from last week’s rate of 3.75%. This rate remains moderately higher than the same time period in 2018, when it averaged 3.62%.